Want to Blog for Fem2.0? Here’s everything you need to know to get started as a blogger! Welcome to Fem2.0! We are excited that you are interesting in joining our vibrant online community. Fem2.0 brings together both the grasstops and the grassroots of online women’s communities to further the connection between today’s issues and women’s voices. Fem2.0 started in early 2009 with an important conference that took place at The George Washington University in Washington, DC. The event was convened by a founding group of online and offline organizations. Since then, hundreds of writers have contributed to our blog and our social media presence has grown into the thousands. Additionally, the #fem2 hashtag—which began at the conference—has grown into one of the leading hashtag aggregators for feminism in the progressive movement. Below are some details you should know about the Fem2.0 community. If you have any questions in the meantime, please do not hesitate to email the Editor, Violet Tsagka, at violet@turner4D.com. To create a forum – starting with the Fem2.0 website and continuing through the Fem2.0 conference – for women to discuss the issues that are of most concern to them today, and to encourage them to use the Internet to learn more, express their opinions about those issues and advocate for policies that benefit women and families. Write one post per month for Fem2.0. These can be either original pieces, or a cross-posting recommendation. 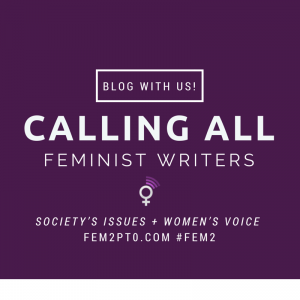 If you come across a blog post on another site that you believe would be a good fit for Fem2.0, please email the Editor and we will take care of gaining permission. Regular Bloggers vs. Guest Bloggers: Bloggers who write once a month for Fem2 will be considered Regular Bloggers and will appear on the featured bloggers list on the front page of the website. Those who submit posts less often will only appear on the Meet the Bloggers page under the Guest Bloggers section. Fem2.0 Outreach: Our entire blogger corps is filled with passionate, engaged feminists. As such, we expect that we all will serve as ambassadors of Fem2.0. You are welcome as a Regular Blogger to post comments on other sites using Fem2.0 as your home website when prompted, and to identify yourself as a Blogger with Fem2.0. Twitter Chats: One of the keystones of the Fem2 community is our active Twitter presence. Our Twitter chats are well known in the #Fem2 community, and we expect and hope that our blogger corps will assist in spreading the word, recommending topics, and of course, participating in the chats as often as possible. 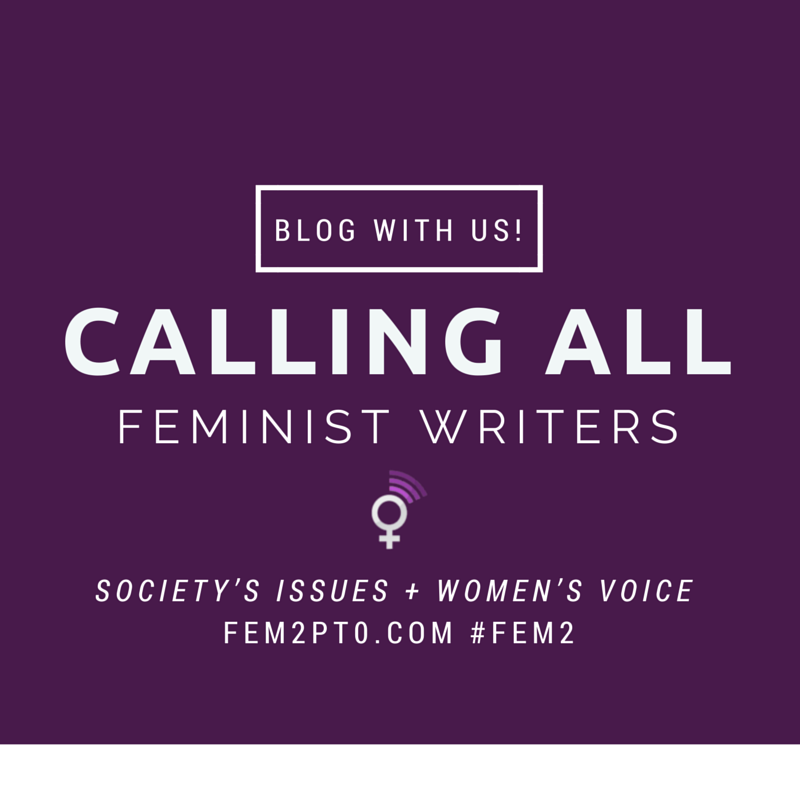 To get started on the path to blogging for Fem2.0, please email our Editor, Violet Tsagka, at violet@turner4D.com. We will be in touch with next steps. Can’t wait to hear from you!